Blog: Meet Your Local Police Department! Meet Your Local Police Department! 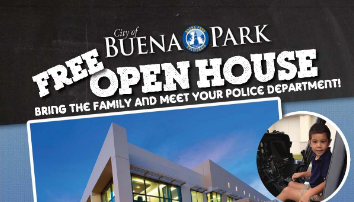 The City of Buena Park and the Buena Park Police Department will be holding our annual Open House on May 20, 2017 from 11:00-2:00. We will have City Hall tours, police station tours, demonstrations, and static displays, giving you a chance to see what we do and how we do it. You can also meet our wonderful personnel!